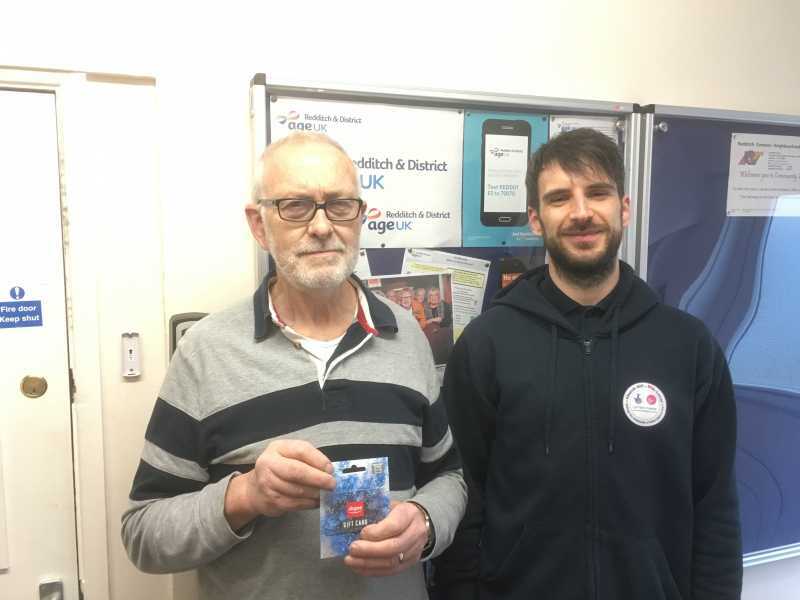 Age UK in Redditch were the happy recipients of £100 worth of Argos vouchers last week when Mr Robert Rowberry handed over his prize winnings from a competition run by Church Hill Big Local Partnership. Mr Rowberry won the vouchers with his entry for a photo competition to find images of Church Hill for a calendar. Mr Rowberry, who volunteers for Age UK, said: “They are such a lovely group of people to work with. I’m delighted to be able to help them raise funds.” Mr Rowberry helps people with computer queries on Monday afternoons and Friday mornings at the Age UK premises in Easemore Road. Picture: Robert Rowberry receiving his prize from Church Hill Big Local's Chris Thomas at the Age UK premises on Easemore Road.